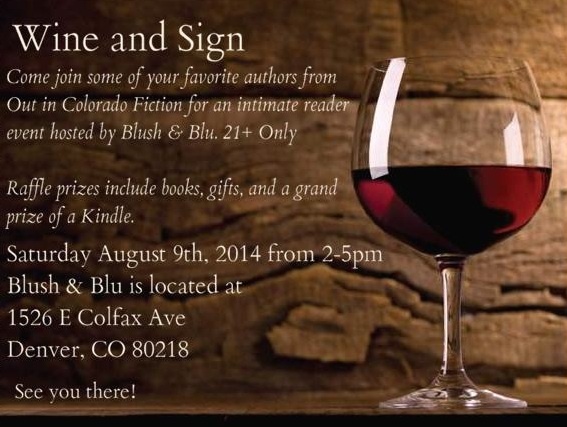 The Out in Colorado authors are hosting a reader event on August 9th, 2:00-5:00 at Blush & Blu in downtown Denver. We’ll have wine, door prizes, and all kinds of fun. We hope to see you there!